BigG wrote: Are you kidding? How two countries which do not have diplomatic relations with each other could make a joint bid? At the moment I do not want to make a focus on Georgian territories occupied by Russia. It is just an impossible bid to ever happen. But it is pretty dificult to see 2027 in Europe. As 2023 will be in Europa, 2027 will be outside Europe. That is the patterns: 2007 Europe, 2011 outside Europe, 2015 Europe, 2019 outside Europe, 2023 Europe, 2027 outside Europe. I know 2023 could have beem outside Europe again, but I don't see 2 tournaments in Europe in a row happening. RugbyPUBtbilisi wrote: Second problem is total ignorance from Russian population this game we call rugby. 99% of Russians dint know Rugby or dont inderstand it's rules. I assume you've conducted controlled research on the subject ? 1993 year. Russia - Georgia 15 - 9. "In spite of strong support for rugby, many Georgians don’t know much about the game. The survey shows that only 18% of the population knows what the amount of points for a try without conversion kick is (five points), and only 6% of Georgians know how many players are in the scrum (eight players) for each team. While 21% gave the incorrect answer on this question, 73% responded don’t know. Notably, men (28%) gave the right answer more often than women (10%) to the question on tries." "...only 18% of the population knows what the amount of points for a try without conversion kick is..." which explains the low propensity of the georgians to score tries, basically they don't know they are worth more! Georgia has National Team not International. And hiring low quality mercenaries is not a goal for GRU. Better PRODUCE low quality backs than hire them from god know where. How many points a football team gets for winning a game? How many points a basketball team gets for making a basket from within arch? How far an opposition lines up at free kick in football? How many seconds are allocated for a basketball team in attack - to make a shot? You get 3 points for winning a soccer match. Baskets made within the arch are worth 2 points. Bonus Point: Baskets made from outside the arch are worth 3 points. I think you have to line up 10 meters away. Though it could be 15. I'm not a big soccer fan. I believe you have 24 seconds in basketball to make a shot while on attack. At least in the NBA, again like soccer I'm not a big basketball fan. And the Golden Cup goes to this Canadian guy for his amazing Sports understanding. Only thing this proves, that the counting in rugby is way to complicated. Leaving aside the obvious political issues, and assuming that the Georgians and Russians are the best of buddies, co-hosting has usually been between relatively equally matched states in terms of size and fanbases - think like the European football championships in Austria/Switzerland and Poland/Ukraine. Georgia/Russia would be an extremely lopsided pairing. Russia have the stadiums but none of the crowd interest. Georgia have decent crowds but only a couple of stadiums big enough, neither of which are big enough for the final. Russia is way too big for lots of foreign fans travelling around attending lots of games, so you would have to rely on selling a lot of tickets to native Russians, and the game just doesn't have the profile in Russia (yet) to do that. By the time it does, then Russia would be able to host on their own, and Georgia wouldn't have anything obvious to offer them in a partnership. And how the poor ref checks those extra 15 cm's? 10 yards are exactly the distance 9,15m describe. Those soccer rules come from the island of funny measurements, the chain would be perfect indeed. Do everyone forgets about the 2013 seven world cup in Moscow ? Well, I guess the refs are trained to measure 9,15 metres... noone cares about the 15 cm, that's for sure. It's ten yards, a real, proper, manly, measurement! None of this vaguely antipodean, or worse continental, "metre" malarky!! Take a closer look and you look at feet. I know it helps against the rain, you have every day, to look downwards, but that's not manly at all. 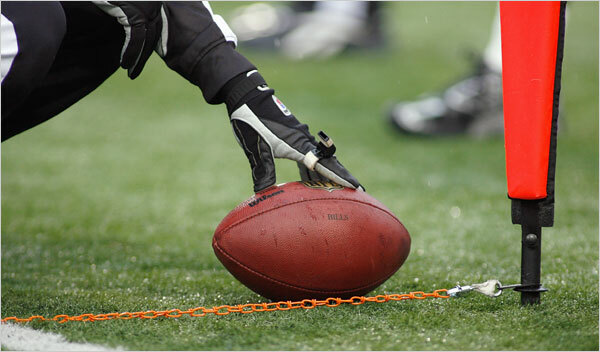 But... a chain is 22 yards in the island of funny measurements. More likely Putin wakes up one day and just conquers Georgia. Then a "joint" hosting would be possible, indeed.